Young people tend to listen to loud music in almost every environment, individually using their personal music players, as well as in groups in discotheques, night-clubs, concerts, festivals, etc. As a consequence, an increase in prevalence of noise-induced hearing loss in adolescents and young adults is assumed, especially in the mainstream media. 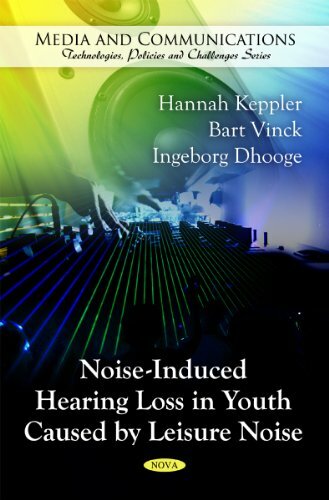 This book assesses the current scientific insights regarding the role of leisure noise exposure in the development of temporary and/or permanent auditory deterioration in young people. This unique book contributes to the understanding of this important, actual topic. Manufacturer: Nova Science Publishers, Inc. Studio: Nova Science Publishers, Inc.
View More In Allied Health Professions. If you have any questions about this product by Brand: Nova Science Publishers, Inc., contact us by completing and submitting the form below. If you are looking for a specif part number, please include it with your message.